Members of the Burleson-Milam II Chapter, Children of the Republic of Texas hold their August meeting and Aging Out Ceremony. Members of the Burleson-Milam II Chapter, Children of the Republic of Texas visit the San Jacinto Monument after CRT Convention. 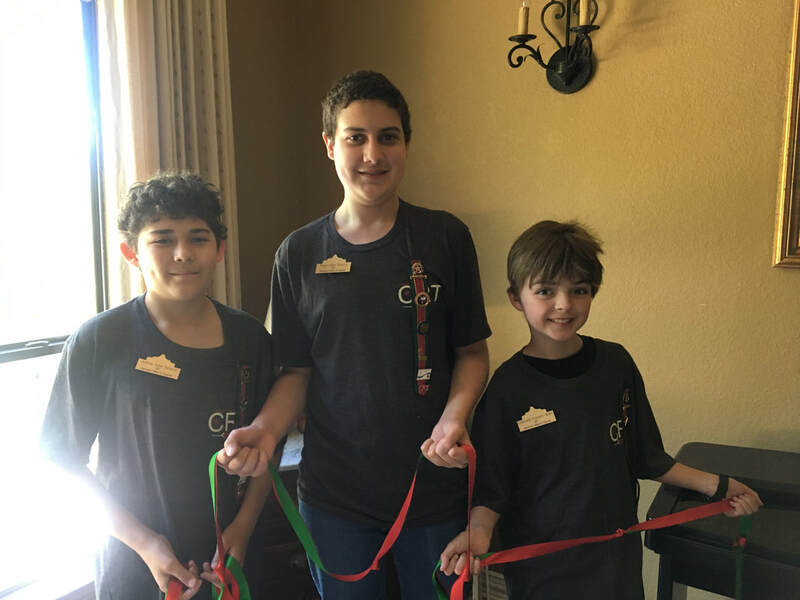 Members of the Burleson-Milam II Chapter, Children of the Republic of Texas attend CRT Convention and get many awards including the FOUR STAR CHAPTER AWARD and honorable mention for their digital scrapbook. Members of the Burleson-Milam II Chapter, Children of the Republic of Texas visit the Juan Seguin National Park. Members of the Burleson-Milam II Chapter, Children of the Republic of Texas at the Installation Ceremony for a newly elected officer. Members of the Burleson-Milam II Chapter, Children of the Republic of Texas at their April Meeting. This was the chapter's first meeting via Skype. Members of the Burleson-Milam II Chapter, Children of the Republic of Texas and Moon-McGehee Chapter of DRT visit The Alamo and complete a CRT chapter project. Members of the Burleson-Milam II Chapter, Children of the Republic of Texas at their December 2017 meeting. Members of the Burleson-Milam II Chapter, Children of the Republic of Texas at their October 2017 meeting. Members of the Burleson-Milam II Chapter, Children of the Republic of Texas at the CRT Convention in Kerrville, Texas. Members of the Burleson-Milam II Chapter, Children of the Republic of Texas at their chapter meeting. Officers were elected.